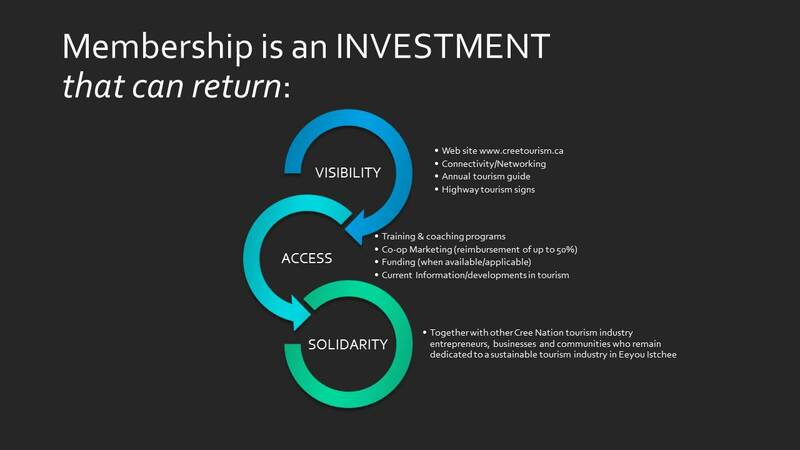 Aboriginal tourism is a fast-growing industry throughout Canada and as a consequence it offers great potential for the development of Cree owned and operated individual tourism businesses in Eeyou Istchee. This economic potential cuts across all sectors of the tourism industry and it includes a wide number of business development options and opportunities. Although outfitting continues to be the engine for Cree tourism in Eeyou Istchee the coming years are bound to experience a rapid growth in cultural, adventure and eco-tourism as well. As the tourism industry continues to develop and grow, we need to make sure that tourism in Eeyou Istchee remains true to Cree culture.We also need to provide real economic benefits for the Cree Nation as a whole. And that is what COTA has been doing since it was created over 30 years ago. We’re committed to preserve our culture and generate economic benefits. And that spirit still motivates us today. Tourism provides an opportunity to build a business that can incorporate hundreds of years of Cree knowledge and skills linked to the use of the land waters and wildlife resources.As the tourism industry continues to evolve, it is hoped that more and more Crees will take advantage of this potential to build new livelihoods for themselves, their families and their communities. COTA / EIT invite you to get involved. It’s one of the best decisions you can make for your tourism business.